I was hoping to be completely done with my holiday baking before the weekend but yet I keep finding new holiday recipes to make and as soon as I make them, my family is eating them! Do you find yourself spending way too much time in the Kitchen this holiday season? I know I am getting "baked out" already and Christmas isn't even here yet. Below you will find some yummy recipes of what I made this morning. I hope you enjoy them! Beat butter for 30 seconds; add granulated sugar and beat till fluffy. Add vanilla and 2 tsp. water; beat well. Stir in flour and pecans. Shape into 1" balls. Place on a ungreased cookie sheet (or Tupperware (tm) Silicone Wonder Baking Mat). Bake in a 325 degree oven for about 20 minutes. Cool completely. Gently shake a few cookies at a time in a bag with powdered sugar. Store in an air tight container. Preheat oven to 400 degrees. In a small bowl combine colored sugar and 1/2 tsp. of nutmeg. Set aside. 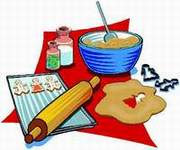 In a large mixing bowl combine flour, sugar, cream of tartar, baking soda, salt and 1/4 tsp. of nutmeg. Add butter, egg and vanilla. Beat at low speed until well mixed for about 2-3 minutes. Roll rounded teaspoonfuls into 1" balls. Roll in nutmeg, sugar mixtures. Bake on a ungreased cookie sheet 2" apart at 400 degrees for 10-12 minutes or until done.